Limited to 100 pieces. Each piece is signed and numbered by the artist. We worked closely with Tom to create markers that suited specific needs for his work. Tom uses a lot of different markers in his work and he has strict standards related to flow, durability, and archival quality. He tested a wide variety of Krink products and we formulated inks to meet his specs. The K-12 rollerball is a brand new marker tip that Tom is really excited about, It's unique to the market, and is a Krink / Tom Sachs exclusive. We also formulated a new red "Slow Drip Formula" for our K-66 marker meeting Tom's specific specs. Perfect for NASA logos on any surface. We also have a new barrel design and over cap for the Krink K-70. Tom liked the ink and flow properties so much that he felt no change was needed for this Krink classic. To complete the set, Tom created a custom "Dock" to hold the markers, taking his trademark "Police Line Do Not Cross" wood and drilling out custom holes for each of the markers to sit in. Each base is equipped with rubber feet, signed on the front, and numbered on the bottom. 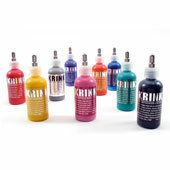 K-66 markers are filled with opaque, pigmented, permanent Krink. Steel ball point tip. 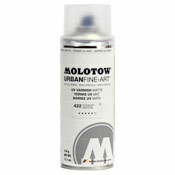 Writes on most surfaces. Highest quality. Hand made in the USA. Here is a link to the exclusive interview with KR, founder of Krink.